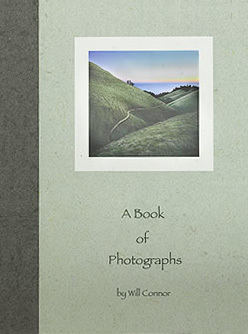 The last ten limited edition copies of Will Connor's handmade book is now available. Thank you...the book is now sold out! This book contains 50 pages of images along with text, and represents some of his finest landscape photography from the last twelve years. 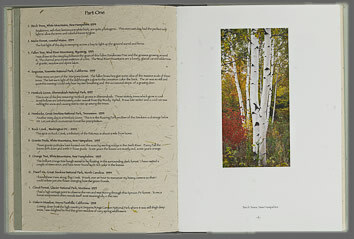 The book is completely handmade and hand-bound. 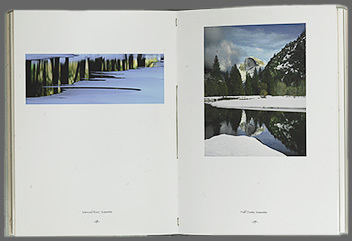 Each page has been printed one at a time, by Will, using archival pigment inks on heavy fine art paper, the same paper/ink he uses for his exhibition prints. In essence, this book is an artfully bound collection of 50 original prints which, if sold individually, would be valued at five thousand dollars.